New York : Researchers have found that a class of drugs originally developed to treat atherosclerosis the build up of plaque inside your arteries, raising the risk for heart disease could be repurposed to treat pancreatic cancer. Atherosclerosis is the buildup of fats, cholesterol and other substances in arteries, restricting blood flow. The new study showed that controlling cholesterol metabolism in pancreatic cancer cells reduces metastasis or its spread to other organs. “We show for the first time that if you control the cholesterol metabolism you could reduce pancreatic cancer spread to other organs,” said Ji-Xin Cheng, professor at Purdue University in the US. “We chose pancreatic cancer to test this approach because it is the most aggressive disease of all the cancers,” Cheng pointed out. The findings were detailed in a paper published in the journal Oncogene. The researchers found accumulations of the compound cholesteryl ester in human pancreatic cancer specimens and cell lines, demonstrating a link between cholesterol esterification and metastasis. Esterification is a biochemical process that allows cholesterol to be stored in cells. Excess quantities of cholesterol result in cholesteryl ester being stored in lipid droplets within cancer cells. “The results of this study demonstrate a new strategy for treating metastatic pancreatic cancer by inhibiting cholesterol esterification,” Jingwu Xie, professor at Indiana University School of Medicine, said. The paper’s lead author is Purdue post-doctoral fellow. Purdue researchers have developed an analytical tool called Raman spectromicroscopy that allows compositional analysis of single lipid droplets in living cells. “We identified an aberrant accumulation of cholesteryl ester in human pancreatic cancer specimens and cell lines,” study lead author Junjie Li from Purdue University explained. “Depletion of cholesterol esterification significantly reduced pancreatic tumour growth and metastasis in mice,” Li noted. Findings showed that drugs like avasimibe, previously developed for treatment of atherosclerosis, reduced the accumulation of cholesteryl ester. The disease usually kills within a few months of diagnosis. 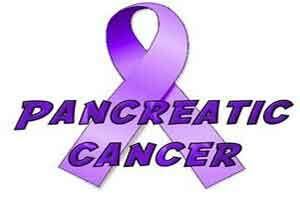 It is hoped the potential new treatment might extend life of pancreatic cancer patients for a year, Cheng said.